Are you looking to buy or sell a luxury home, or interested in the luxury market in St. Louis? 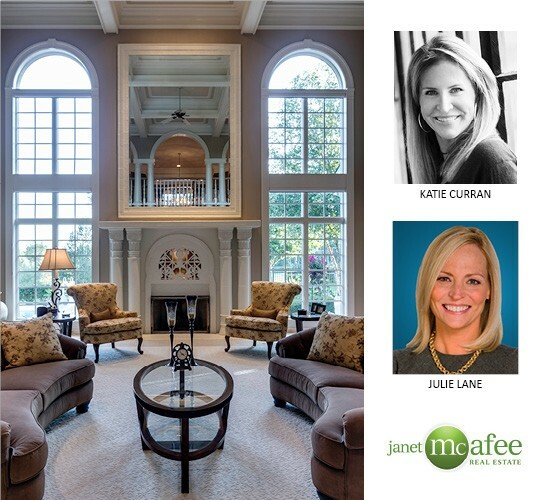 We talked to Janet McAfee real estate agents, Katie Curran and Julie Lane, about everything from the state of the industry to trends and tips on how to successfully sell a luxury listing. What has the luxury STL market looked like in 2018? KC: In the central corridor communities we follow, there have been 185 luxury sales over $1 million through August 2018, an increase over last year. We find new listing drives sales. There were 435 new luxury listings which was also higher than last year. Another key indicator of market activity levels is months of inventory. August inventory levels of 6.82 months were lower than a year ago. What are luxury buyers looking for in STL? JL: They want the house updated—they don't want to have to do any work. Buyers today are focused on outdoor space. They want a great pool or a living area for relaxing, entertaining, and al fresco dining. KC: I would say they're looking for amenities. For example, buyers seek out high-end appliances, whether it be the Viking stove or Sub-Zero fridge. This is largely due to the fact that, for luxury real estate, it's all about appreciating refined finishes. People value privacy and luxurious surroundings. Luxury amenities enhance the home and create perceived value. 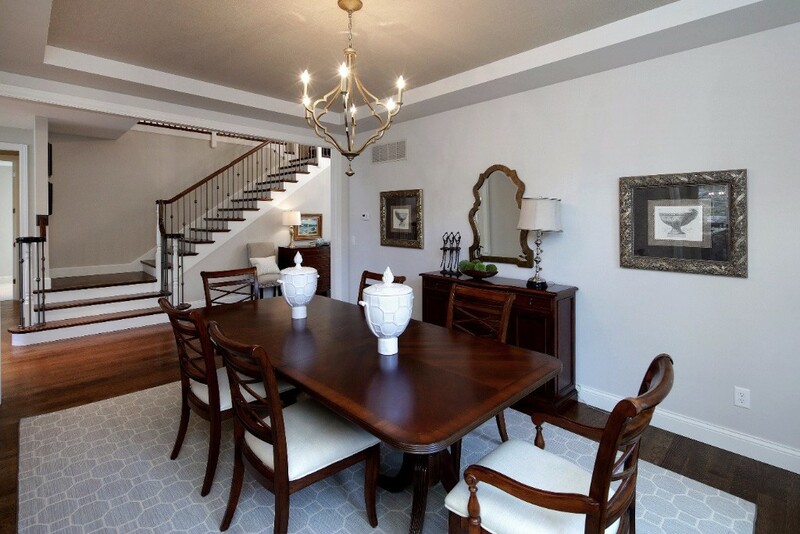 What kind of timeline (if any) can a luxury seller see when listing their home? JL: I think the luxury buyer and seller ignore housing seasonality. Generally in real estate, the spring market is full of selling and buying opportunities. But, luxury buyers don’t follow this pattern. Often, when they need to buy, they buy, and when they need to sell, they sell. Luxury buyers have different motivations. They have specific tastes, and they rarely make spontaneous decisions. Is there anything that luxury sellers need to keep in mind before listing? Is there anything luxury sellers should do before deciding to list? KC: How we live and how we sell are two different stories. When selling, you have to depersonalize your home. You want the entire property to look impeccable and inviting. Little things, such as making sure the roof is in great shape, the gutters are clean, landscaping is manicured and the paint is fresh, help buyers feel the home is move-in ready. I always encourage my clients to preview a few luxury open houses. That way, they can see the difference between houses that have been prepared for the market and the home’s value proposition. How important is physical staging when selling a luxury home? KC: When staging, you want to make a home look and feel like spaces the buyers can envision themselves in. Often staging is less expensive than a price reduction and can give the whole house a facelift. Virtual staging is also an option. We’ve had limited experience with virtual staging, so it is too soon to draw any conclusions about which is more successful. How important is social media for luxury real estate? JL: We have a savvy marketplace as far as social media goes. We leverage professional real estate photography and videography with social posts. Both buyers and sellers want to make sure that you have a social media presence. They read our blogs, watch our videos, and engage through these channels. I think seeing our presence on social media gives them confidence. Are you looking to buy or sell a luxury listing? At, Janet McAfee our real estate agents are seasoned experts in the ins and outs of selling a luxury home. From how to advertise and market your home to helping stage for specific buyers, our luxury buyers and sellers truly reap the rewards of working with a Janet McAfee agent—and you can, too! Dog showers are becoming popular design features in many luxury homes. Architect William Harrison reports that he’s been asked to design dog showers for many clients. These are often designed for large dog breeds, who have difficulty bathing in a traditionally-sized bathtub. Dog showers are low to the ground, designed with extra-tough, dirt- and wear-resistant tiles and shower heads with long flexible hoses. These custom showers leave both owner and pooch happy! A hot bath is the perfect way to relax after a long day. The only thing that could make the experience more relaxing would be a crackling fireplace. This trend has taken over luxury homes, with many owners choosing to improve their properties with a bathroom fireplace. A luxurious, relaxing bathroom can add greatly to a home’s resale value, as well as giving the homeowner many peaceful nights. Turn a top floor room into a luxurious observatory with the addition of a telescope! This is a new trend in luxury homes and is particularly popular with homeowners who already have large skylights or glass-enclosed rooms. Companies like High Point and Frontgate make excellent at-home telescopes that can transform any home into a beautiful observatory. One of the hallmarks of a luxury home is a fully-functioning home theater. Modern technology allows homeowners to have full movie screens, surround sound speakers, and luxury seating. You can even design your own. Sitting in a personal steam room is the height of luxury. Specially designed benches, custom sauna decor, and particular rocks and wood are all sold to help homeowners personalize their saunas. Saunas have been proven to have many health benefits, helping people sweat out toxins and decrease stress. Tried and true, the wine cellar has been a cornerstone of luxury homes. And, this classic is as relevant as ever in 2018. Amassing a wine collection is a wonderful hobby, and storing it in an aesthetically pleasing wine cellar is a privilege that comes from owning a luxury home. Play with lighting, shelving, and even seating to create a space perfect for storage and tasting. Any of these amenities will add beauty and value to your home. You already own an amazing house--now make it truly luxurious! If you’re ready to start the search for your luxury home, contact Janet McAfee for access to our listings over $750,000 as part of our exclusive affiliation with Luxury Portfolio. What is your home’s Aesthetic? I believe every home has an aesthetic, whether it be a specific architectural period (like Tudor, Greek Revival or Mid Century Modern) or it could be a certain look (like bright and airy sunlight filled rooms) which strikes us as we tour the home. St. Louis homes are rich in diversity and architectural interest. This month we are focusing on how to best present the home’s aesthetic. With technological advances in photography and digital media, there are so many opportunities to capture the home’s true essence. With regard to interior photography, it is about more than just high resolution; we look at lighting, depth of field, composition and color. For exterior, we love aerial, drone video and twilight photography. People move to different areas for a variety of reasons. St. Louis is unique in the fact it is home to many communities that appeal to different interests and walks of life. Each suburb and community has distinctive features that appeal to foodies, artists, outdoorsmen and women, and sports enthusiasts. Join us as we take a tour of the Top Communities in St. Louis! CHESTERFIELD - If shopping is your bag, Chesterfield is the place for you. With new construction going up all the time and businesses moving in at a rapid pace, Chesterfield shows no signs of slowing down. In fact, there are over 4,000 total services with a number of shopping malls and outlets, including Taubman Prestige Outlets. You would think that they are all play and no work because of this… but you’d be wrong! The community has a 96% high school graduation rate! The houses range in price and style from colonial to craftsman to farmhouse. All of these features combined make this a big draw for growing families. Click to learn more and see houses in this area! CLAYTON - Everyone in St. Louis knows about Clayton, and for good reason. This historic community is known as being in the center of it all. It’s less than 10 miles from downtown St. Louis, two miles from the St. Louis Art Museum and St. Louis Zoo, and sports easy access to many highways as well as the Metrolink. Not to mention, Clayton has so much to offer right within the community. You can sample more than 80 restaurants (Foodies, take note!) and walk to high-end boutiques and art galleries easily. If you like to live the luxurious life, this is the place for you. Click to learn more and see houses in this area! BALLWIN - Family fun is right outside your door in Ballwin. Many young families have been getting their start in Ballwin. They sport the massive North Pointe Family Aquatic Center, a number of parks for hiking and outdoor fun (Queeny Park, Lone Elk Park, and Castlewood State Park), and multiple golf clubs (Ballwin Golf Course and the Meadowbrook Country Club). To match the large number of recreational activities, the neighborhoods sport a variety of housing styles including craftsman, colonial, and ranch. Not to mention, you can typically get a lot of house for a good price. Click to learn more and see houses in this area! WEBSTER GROVES - Historical architecture and rows upon rows of trees welcome you when you enter Webster Groves. Cottage, colonial, craftsman, and bungalow style homes are the most common in these quiet neighborhoods that surround Webster University. Webster Groves also boasts one of the best school districts in St. Louis and the 38-acre Blackburn Park (featuring a bird sanctuary, tennis courts, trails, and picnic areas), though you pay a little more for these amenities in taxes. In addition, various community events are held throughout the year such as the weekly Farmer’s Market and a Fourth of July firework display that may very be the second best next to the famous downtown firework show. Click to learn more and see houses in this area! KIRKWOOD - The high school rivalry between Webster Groves and Kirkwood is legendary, but it might be because these neighboring communities share many similarities. Kirkwood also sports a college (St. Louis Community College Meramec), lovely yards and trees, a Farmer’s Market, and a quiet neighborhood feel consisting of ranch, Victorian, and charming craftsman houses. What is unique is the still functional historic train station, and the famous Frank Lloyd Wright House in Ebsworth Park! Quiet, quaint, and classic. Click to learn more and see houses in this area! BRENTWOOD - Experience the feel of a small town, while still having Downtown St. Louis just 9 miles away. Brentwood and the neighboring Maplewood community make for a double dose of fun that appeals to families and young couples who enjoy shopping and nearby restaurants and breweries. Historic farmhouse, colonial, and craftsman style homes surround Memorial and Brentwood Park (which is home to a fabulous Summer Concert Series). Brentwood High School also has an astounding 96% high school graduation rate. Although it might not be the first community that comes to mind when you think of St. Louis, Brentwood acts as a little known secret that’s central to many parts of the city and county. Click to learn more and see houses in this area! Who is Buying Our Luxury Listings? This month we focus on marketing strategies for luxury listings, which we define as properties over $1 million. 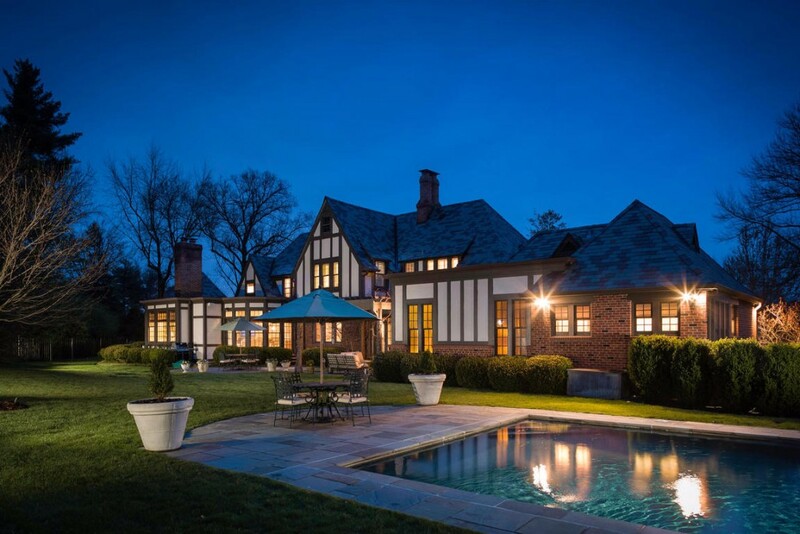 As the recognized leader in this segment, the Janet McAfee reach is extensive, selling the finest homes in St. Louis County, St. Louis City, St. Charles and Franklin County (home of St. Albans Country Club). You may be surprised to learn there are 356 listings over $1 million, and out of these, 66 have accepted offers to purchase. So, who is searching for million dollar homes and what are they looking for? What is the affluent buyer looking for and how do we engage them? Again, we draw upon our past experiences through years of marketing to this segment. 1. Lead with Brand Names. Luxury buyers need to be convinced of quality in order to justify paying the high price. Marketing brochures and special feature sheets include the names of architects, designers, high end appliances, uniquely sourced fixtures, cabinetry designers and craftsmen. Luxury brands are important to luxury buyers. 2. Invest in the Best Photography. Technology has allowed us to present luxury homes with exquisite high definition images, twilight photograph, soaring aerial shots, drone videos and intricate floor plans. The first property viewing is virtual, so the online representation must be absolutely flawless in order to bring them across the threshold. 3. Advertising should present an Inspired Lifestyle. Buyers are looking to enhance their lifestyle, not be inundated with a tedious list of every factoid you can think up. Our job is to show prospective buyers the experience of living in the home and how the amenities will enhance their lives. 4. Tell the Home's Unique Story. Many historic and architecturally significant listings have remarkable histories about former residents who shaped St. Louis. For a newer home, it could be a story about choices made during the construction or why a specific architectural element was selected. 5. Place Advertising to Reach Affluent Buyers. Yes, it’s true that active buyers are all looking on line. But, people are ALSO reading the Wall Street Journal, coffee table magazines and society pages. It’s surprising how often someone, who is not actively looking to move will become a motivated buyer after seeing the right property in a beautiful ad. 6. Please, please DON’T “Test the Water” with your introductory price. Affluent buyers are not stupid. Yes, you may attract a wealthy Californian, but they are still going to do their homework and analyze comparable home sales. They are not going to waste their valuable time going to see a listing which is overpriced and out of their price point. Luxury buyers demand a good value and they’re not afraid to pay for it. What Does the Interest Rate Hike Mean to Us? 1. We all anticipated the rate hike. Generally, we don’t like surprises, so it just confirmed what we already thought. 2. We are happy the economy is performing better; unemployment is under 5% (4.7% in February); 200,000 jobs are being added per month; and the stock market is at record levels (actually closing higher on Wednesday). 3. Mortgage rates remain historically low. After the announcement, the 30-year rate rose from 4.21% to 4.30%. If you’re like me and purchased your first home with a 12% mortgage, this still seems like a pretty good deal. 4. Real estate sales are gaining steam. In our market area, 65 homes went under contract from Wednesday to Friday. 71 homes are pending, which means they are scheduled to close. As Realtors, we can’t predict the future. But for now, we are seeing positive economic signs, confidence and optimism. I’ll take that any day! 1. You will make more money. A 2015 NAR survey found the majority of buyers were more likely to offer higher prices for a staged home compared to a similar home. 2. Your home will sell faster. Professionally staged homes spent 72% less time on the market, according to a survey from the Real Estate Staging Association. 3. Buyers can visualize themselves in the home. 81% of buyers it was easier to visualize the staged property as their future home. 4. Your online photos will look better. Over 95% of home buyers look online. This is where you make your first impression and where potential buyers decide whether to make an appointment. Professional staged homes stand out and generate more buyer interest. 5. Staging helps defuse other property flaws. 2015 NAR survey revealed 28% of buyers viewing a staged home overlook other property faults. The eye is naturally drawn to clean, well-appointed furnishings and away from minor imperfections. 6. Personal photos and memorability distract your buyer from viewing the home. Remember, you are trying to help a buyer see themselves living in this property, not as a guest amidst your family’s personal life story. 7. The cost of staging is less than your first price reduction. Some sellers will say “I’ll give it a try without staging and then if it doesn’t sell, I’ll stage it.” This is a huge mistake. Days on market tick on. By the time you have determined you need to stage, your best prospects have already seen your home and formed their opinion. You are looking at a price reduction just to attract new interest. 8. Sellers are not objective about their own homes. The chinoiserie fabric you selected to match the floral chintz may be your pride and joy, but the buyer may not share your design style. A professional stager will select a neutral pallet which appeals to a broad range of prospective buyers. 9. You will save time and reduce your anxiety. Selling your home can be stressful and time consuming. A professional stager will manage the process for you so that you can devote your energy into your new home. 10. Your Realtor will support you 100%. Real estate professionals know that staged homes attract higher offers and faster sales. We are delighted to help facilitate the process, make appointments for you, meet painters or handyman at your home and help you arrange an estate sale.